FROM OUR DOOR TO YOUR FLOOR CarpetsPlus ColorTile Missoula, you'll always find the best deal on the floor you want and the information you need to make a wise choice. Our experts have extensive product knowledge and are trained in the latest flooring styles and fashion trends. You can feel confident that your project will be done right from our door to your floor! As a cooperative with 1,000 stores worldwide, we not only have enormous buying power, but we have partners in all of the major brands, mills, and manufacturers. We’ve done the research for you. Just tell us your needs, and we’ll satisfy them beyond your expectations. We want you to be 100% happy that the floor we’ve created together is as beautiful as the one in your dreams. If not, we’ll replace it for free. That's what we call The Beautiful Guarantee®. 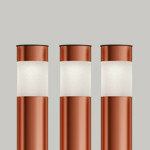 We are confident and offer an easy-to-understand warranty system that gives you a tailored level of protection. With one of the largest selections of carpet, hardwood, laminate, ceramic tile, vinyl, area rugs and more — and you'll always find the best products and great savings every day. Call us today! 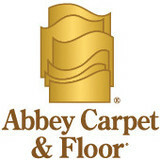 At Abbey Carpet & Floor we carry the latest products designed especially to meet the everyday needs of customers. Our friendly and knowledgeable staff will work with you to select the perfect flooring for your lifestyle. 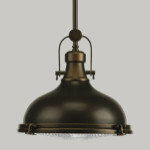 Stop in today and see how we can help you to transform your home. 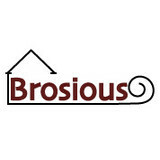 At Brosious Carpet & Floors our experienced floor covering professionals will guide you through the purchasing process from selecting the right material for your personal application to a professional installation. When you combine our knowledge and service with our low overhead and strong relationship with flooring manufacturers the prices we can offer are hard to beat. A hardwood floor is the time-honored choice for the Montana home. 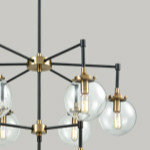 It radiates warmth and strength while exuding a welcoming aura. Ace Wood Flooring combines time-honored craftsmanship, impeccable quality and innovative design for virtually all American made hardwood flooring. The quality of the hardwoods, combined with master craftsmanship in the design, installation and finishing, results in a floor of unmatched beauty and durability. In fact, when customers see their new or refinished floor, their kneejerk reaction is often, “Wow! 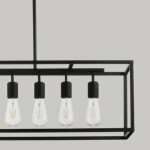 How beautiful!” Your home demonstrates your taste and pride of ownership to friends, family and business associates. Your floor is the centerpiece of your home. Let Ace Wood Flooring install or refinish your hardwood flooring so your home exudes the warmth, quality and beauty you wish your guests to see when they enter your home! It offers a mixed bag of wood deck administrations. Some of our primary administrations include: Hardwood Installation Hardwood Finishing Hardwood Refinishing Dust Free Sanding Hardwood Repairs It is an individual from National Wood Flooring Association. It has the longest guarantee, and aggressive valuing. Call us today for a Complimentary in Home Consultation. Our holder will be happy to meet with you in less than 24 hours. For further guidance or data call Ace Wood Flooring Notwithstanding adding warmth and magnificence to a room, Hardwood Flooring are additionally an awesome approach to expand the estimation of your home. There are a wide range of styles of Hardwood Flooring to browse, including residential and colorful species, bamboo and plug. 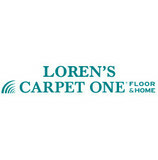 Loren's Carpet One is a Family owed Flooring store. 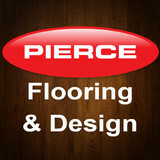 Established in 1958 We cater to all flooring needs, from small repairs to beautiful custom homes. As well we have a great commercial department. Carpeting is subject to a significant amount of wear and tear, so it’s crucial to make sure a new carpet installation is done correctly, or that an existing rug is maintained properly. Enter Bonner carpet dealers. From carpet repair to custom carpet design, these professionals specialize in anything and everything that is carpeting, and can help ensure that your Bonner, MT home’s new rug starts off — and stays! — in great shape. Carpet dealers in Bonner, MT help homeowners choose the correct carpet covering for their floors, and also assist with carpet maintenance. This includes determining factors like material, carpet pile, durability, color and size, as well as helping with any custom carpet design. After completing the initial installation (which includes removal of the old flooring, if applicable, and surface prep), they may also handle follow-up maintenance requests such as carpet cleaning, carpet repair and carpet stretching. Carpet dealers might work closely with Montana contractors, interior designers and others in the home building and home improvement industry. Here are some related professionals and vendors to complement the work of carpet dealers: Interior Designers & Decorators, Design-Build Firms, Specialty Contractors, General Contractors, Home Builders. Find a carpet dealer on Houzz. Narrow your search in the Professionals section of the website to carpet dealers in Bonner, MT, and read reviews and ratings for pros in your area.